Ian and Nikki review Guantanamo Kid by Jerome Tubiana and Alkexadre Franc plus Sparks and the Fallen Star by Lyndon White. We also look at a huge range of kickstarters currently running. Links ... Más informaciones below for these. Finally we have some festival news and podcast news about a new contributor. 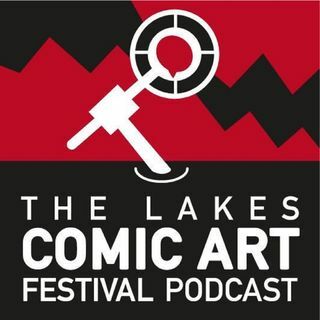 Tom from That Comic Smell podcast will be joining the team and looking at small press comics in future episodes.